Space UK is a top of the line 8-member band with truly impressive credentials. Not only is their lead singer an award-winning international club artist, but their musicans have established songwriting careers in total. Between the eight members, they have played for a variety of huge names like Chaka Khan, Kenny Thomas, James Brown, Labrinth, Massive Attack, Beyonce, Heatwave, Lady Gaga, Imagination, Ellie Goulding and more. 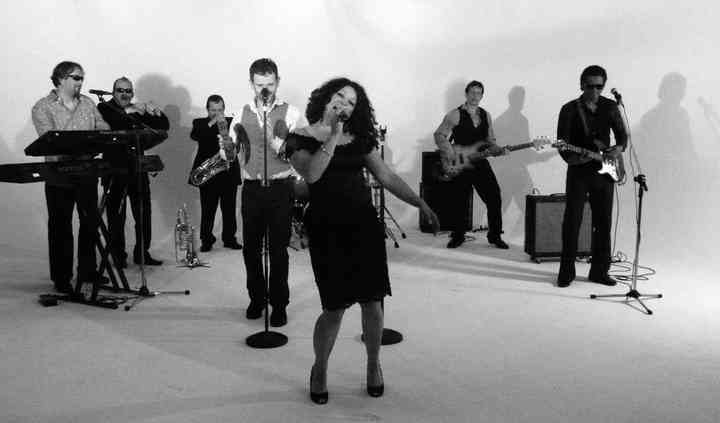 This high energy band is an unparalleled choice for your wedding entertainment. Space UK's wedding package includes a professional PA system, standard lighting and a special song couples may select for the band to play during their first dance. The band plays two one hour sets that are sure to get your party started and keep it going. This talented band prides itself of meeting exceptional standards and performing with the same level of passion at massive events as they do smaller gatherings. No matter your wedding size or venue, this band is sure to give a performance you won't forget.